or was it organized and advanced? This frequently asked question addresses common perceptions of the ancient world. 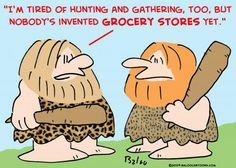 Was it comprised of brutish cave dwellers who were still trying to figure out how to hunt down and kill their next meal? Were they mystified by the wonders of fire? Was there a common language, domestication, or government? It seems that prevailing thought swings to one of two extremes. Either man was very primitive in ancient times or super advanced beyond our wildest imagination. The first relies on the backdrop of mankind evolving slowly over time, discovering wondrous new things and expanding the culture with each new generation. The second option is laced with hyper-intelligent intervention from an external civilization; some say alien, others prefer angelic. Before giving into the urge to imagineer a collection of things we don’t know, let’s take a moment to examine the things that we can logically place into our backdrop. A basic reading of the book of Genesis breaks down neatly into two distinct segments: Chapters 1 through 11, covering a span of approximately 2000 years, and Chapters 12 through 50, covering less than 500 years. The first section gives us the creation, the first family, the Cain & Abel conflict, the banishment of Cain, a genealogy from Adam to Noah, the flood narrative, another genealogy, the Tower of Babel incident, and another genealogy. The remaining 38 chapters track the family history of one man – Abram, later known as Abraham. The initial 12 chapters cover a huge period of time and can be read in their entirety in about 35-45 minutes. It’s an overview, skipping through large portions of activity and human development, choosing to draw attention to just a handful of stories, all of which hold major significance. Likewise, the genealogy lists document important family ties and track the passing of time from one era to the next. One of the first instructions given to Adam and Eve is to populate their surroundings, “be fruitful and multiply.” Following the genealogy from Adam, to the birth of Noah, to the time stamp of the Flood (the 600th year of Noah’s life), projects a period of just over one thousand, six hundred, and fifty years. Take a second to read that out loud, pronouncing every number separately. Trust me, “one thousand, six hundred, and fifty years” has a greater impact than “sixteen fifty” when you take a moment to actually consider the number. Presumably, this is 1650 years of pristine environment, lengthy life spans, and minimal disease. The portrait of human population however is often that of a handful of disjointed people groups struggling to survive. By comparison, the United States tracks its beginnings back to 13 English Colonies that were founded roughly 400 years ago (one-fourth the time). From those early beginnings, the population of their offspring has spread across the continent. During that time, this country has fought several wars (including one against itself). Hardship and plague have also been a part of the mix. Nevertheless, population growth has been slow but steady. Through much of that time the average life span was only 37 years and many newborns never reached the toddler stage. As recent as 1850 (that’s just 165 yrs ago, only one-tenth of a full 1650 years), California was granted statehood; it was state number 31 out of 50. Nineteen additional states have been granted statehood in that time and the population of California has grown to just over 39 million. As a whole, the country is topping 322 million in population and the planetary headcount is nearing 7½ billion. To envision a sparse pre-flood population that was absent any direction or leadership, living generation by generation, just struggling to survive seems a bit short-sighted, doesn’t it? Ancient documents speak of extensive kingdoms, political systems, domestication of livestock, music, and libraries of knowledge. Adam was told to “have dominion” over the whole of creation, that is, to rule justly as the one in charge. He was specifically instructed to care for and develop the earth, to populate it and to teach his descendants how to carry out the mandate. That being the backdrop, it’s hard NOT to envision a thriving culture and a heavily populated planet.